Global Grind caught up with T.I., where the rapper talked about his TV documentary ‘Road To Redemption’, why he got involved with the project, his businesses outside of music and how music of his time they all consume, if he’d go through all the good and the bad again, what he thinks about to keep smiling. “At the end of the day, I’m blessed,” the Grand Hustle boss said. “My good outweighs my bad, no matter how you slice it.” Watch the interview via YouTube below. T.I., aka Clifford Harris, says he hopes that others will learn from his mistakes. “Although I am not thrilled about my next year and a day, I am pleased that I am beginning the process of putting this all behind me,” the rapper said at a press conference after a Northern Georgia District judge sentenced the rapper to one year and one day in prison on Friday (March 27) for felony weapons charges stemming from his October 2007 arrest on the eve of the BET Hip-Hop Awards. “Thank you and I apologize to my family, to the young men, young women that I mentor. I hope that I can keep at least one, if not a million or more, from going down a similar path. I just want to say thank you.” Video of the press conference at Turner.com has since been removed. T.I. is going to jail – where apparently he’s going to meet the entire TMZ fanbase. The gossip show talked with the rapper at Mastro’s Steakhouse in Beverly Hills about Kobe Bryant getting out of jury duty. “Hey man I don’t have no thoughts about nobody’s business,” T.I. lectured. “You should try to take a note or so.” That prompted a discussion about how T.I. is headed to prison and how TMZ is popular show in prison. Watch the segment via MySpace below. T.I. tells MTV that his move last week to invite Shawty Lo on stage last week shouldn’t have been the big deal the media made it out to be, despite the tension between the two camps that boiled over into a brawl at last year’s Dirty Awards. “That word ‘beef’ is used too loosely, to me. ‘Beef’ is kind of like ‘swag.’ People just throwin’ that word around,” T.I. told Sway. “To me, man, if I don’t mean you no harm, we can’t be beefin’. If I see you, and I don’t attack you, it ain’t no beef, and vice versa. Everything else is just entertainment to me.” Watch his comments below. Sean ‘Diddy’ Combs, who visits ‘The Ellen DeGeneres Show’ (Syndicated) on Tuesday. T.I., who performs on ‘The Bonnie Hunt Show’ (Syndicated) on Thursday. T.I. was spotted entering Mr. Chow in Beverly Hills on Monday night (February 23), posing with a couple fans, accepting something that appeared to be a chocolate Valentine’s heart from the woman he took a picture with. Watch Hollywood.tv footage via YouTube below. T.I. 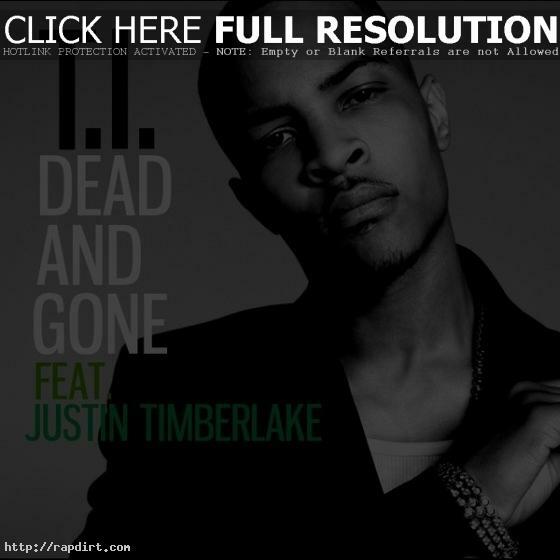 is out with the video to his new single ‘Dead And Gone’, featuring Justin Timberlake, the fourth official single off the Atlanta rapper’s sixth album ‘Paper Trail’, out now on Grand Hustle. Watch the Chris Robinson directed video below. 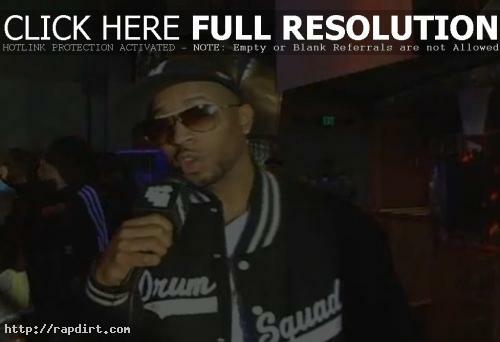 Behind the scenes footage of DJ Drama, T.I., Snoop Dogg and Akon at Drama’s ‘Day Dreaming’ video shoot has been posted at MySpace Hip Hop. ‘Day Dreaming’ is the first official single off Drama’s new album ‘Gangsta Grillz: The Album Vol. 2’. Check out the footage, featuring Drama hyping the album, via MySpace below. T.I. and Smokey Robinson chatted with ‘Access Hollywood’ correspondent Shaun Robinson at the Staples Center in Los Angeles before the Grammy Awards on Sunday night (February 8), where both talked about the comeback of Jennifer Hudson following the murders of her mother, brother and nephew. “Definitely overcame the odds, and through god all things are possible,” T.I. said. “She’s a definite example of that.” Watch the brief interview below. will.i.am of the Black Eyed Peas, who performs on ‘The Tonight Show with Jay Leno’ (NBC) on Wednesday. T.I., who appears on ‘The Tyra Banks Show’ (Syndicated) on Thursday. Q-Tip, who visits ‘Tavis Smiley’ (PBS) on Thursday.